Adorable filled with flowers in bloom. 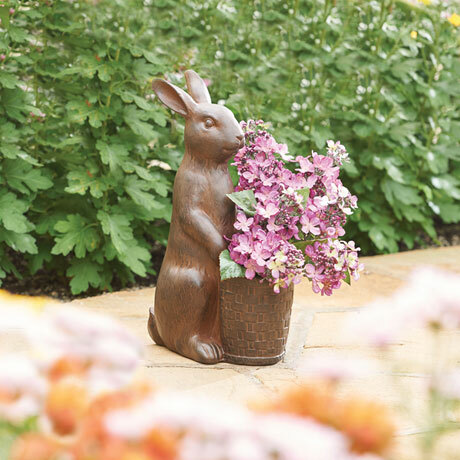 Watchful rabbit stands guard over a basket that holds whatever you feel like planting. 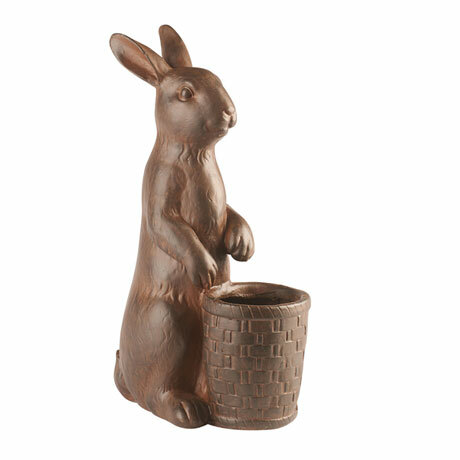 Cast resin with a warm bronze finish and convenient drainage hole. About 17" high.